Investing in a treadmill is a major purchase. You should really do your homework before you purchase and there is a lot of information to consider. Big box retailers often try to dupe the average consumer by giving very little specifications, or playing the specification game and outdoing the competition one little spec at a time. In other words, they focus on one or few specifications that are often not very important to the life and performance of the treadmill to distract you from its shortcomings. This guide will help consumers in their buying decision by taking a look at each component of a treadmill, defining what is meaningful and what is not. 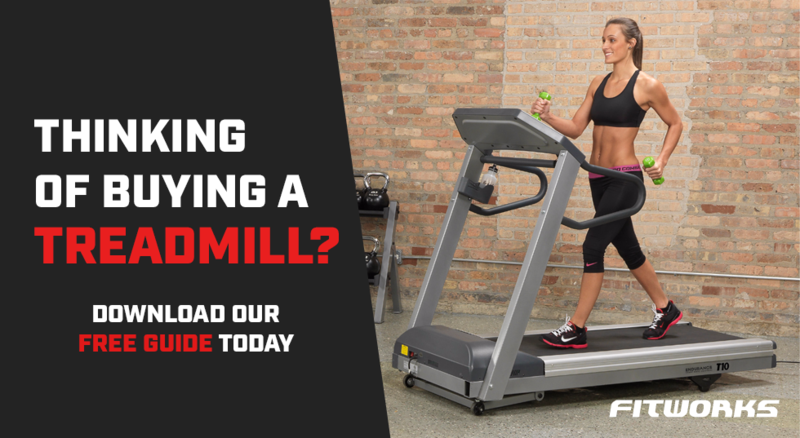 Sign up today to get your free treadmill guide! *By signing up to this form you agree to be contacted by Fitworks Equipment. You may unsubscribe at anytime.